Dubai, UAE, March 20, 2019: We all want to live a healthy, happy life; however, we don't always have control over the things that happen to us. Although, fate is to thank for many things in life, there are some things you can control each day to ensure you're healthy and happy. Health is certainly a big factor in how happy our lives are. The first thing you tend to do when you want to be fit and healthy is to stay fit and search the internet something on the lines of “How to lose weight”. You are bound to receive results for thousands of articles and hundreds of applications. Obviously, what we eat is critical to our well-being, in more ways than one. It sure is hard to navigate the complicated world of nutrition to figure out what really is best for us! HONOR, the leading smartphone e-brand under the Huawei Group, has developed the HONOR View20 and HONOR Watch Magic to help users get fit with tech. With the help of HONOR View20's impressive 3D camera and Artificial Intelligence (AI) capabilities, you are able to keep a record of your calorie consumption by knowing the exact calories within your food. You point your camera towards your food and your phone like a Calorie Ninja will detect the food and measure its calorie information. More than 100 kinds of food items are known to this AI function to help you maintain a healthy living. The latest phone from HONOR also has a Dancing VR application that allows you to use the 3D camera and bust some moves to help you stay in shape as your own creation of a virtual 3D character follows your own dance movements in real time. There is also a feature where you prompt your character to perform specific movements and gestures like Kung Fu, ballet and more. This is a fun and interactive game that HONOR View20 offers to help you stay in shape and exercise while having a good time. 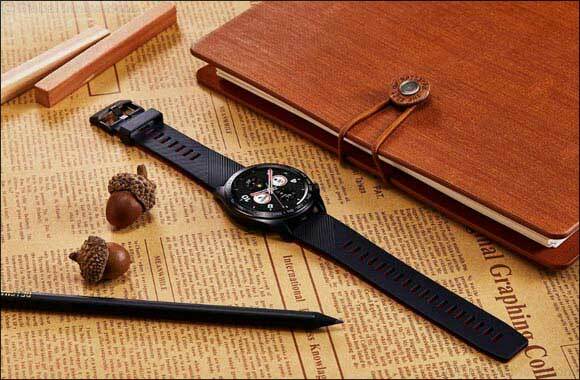 The HONOR Watch Magic is a recently launched smartwatch from HONOR with Retina AMOLED display, week-long battery life and fitness tracking features. The gadget is extremely receptive and popular amongst fitness junkies as it assists you in recording and tracking your health information, giving you the opportunity to mould your lifestyle into a healthier one. HONOR has always been an advocate for sports and fun catering to the millennial necessity to include fitness as part of their routine and improving their lives with the help of gadgets and technologically advanced devices and features, which HONOR is perfectly fulfilling. In the spirit of the International Day of Happiness, HONOR propagates the proverb - A healthy life is a happy life – with the touch of innovative technology. Make the most of your gadgets, and take advantage of the wonderful features and capabilities that HONOR has to offer. Next Story : Eros Group builds on its promise of delivering the latest technology to the UAE.